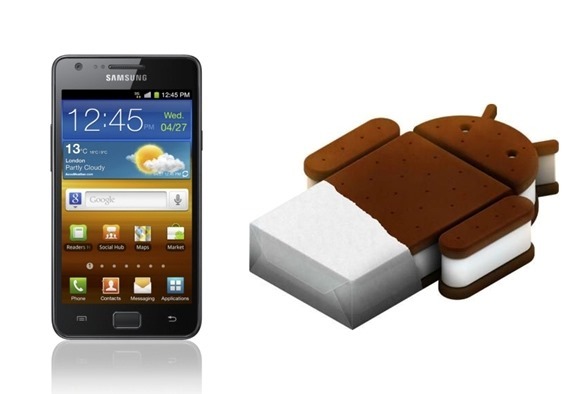 Samsung start sending out the Android 4.0 Ice Cream Sandwich update to all over the world. After the upgrading your phone to ICS and you need to root it to take full advantage of your phone. This tutorial help you to Root Samsung Galaxy S2 on Official ICS 4.0.3 firmware. You need ODIN and Rooting package to root your phone. Remember previous root method will not work with ICS 4.0.3 firmware. So make sure you’ll apply this method to ICS firmware only. Rooting phone will void your warranty and this method is applicable to ICS 4.0.3 firmware only. Remove the USB cable and reinsert the battery.